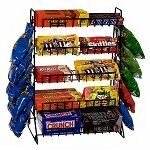 Our Whole Bucket Pine Display are a creative and unique display for your wrapped candies, plants, storing yarn and other fun items. These beautiful wooden buckets come with a variety of color options from purple to magenta or keep these wooden storage bins in their natural state. 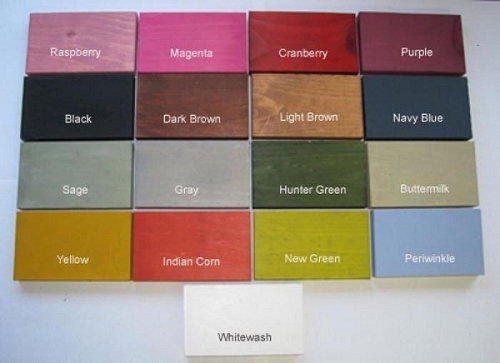 The choice is yours for you to mix or match your decor. These rustic appealing containers can be placed anywhere around your retail location, inside and out if you are looking to add charm and appeal. 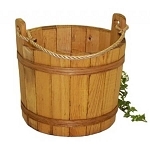 The pine buckets are also a distinctive item for home or office. Place a plant, toys and all kinds of objects in this Wood Display. Keep in mind these display buckets do not come with a liner. 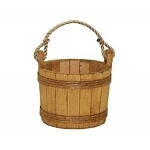 Place an order for your pine bucket exhibits today!